My work space/desk! – A peek into my home. 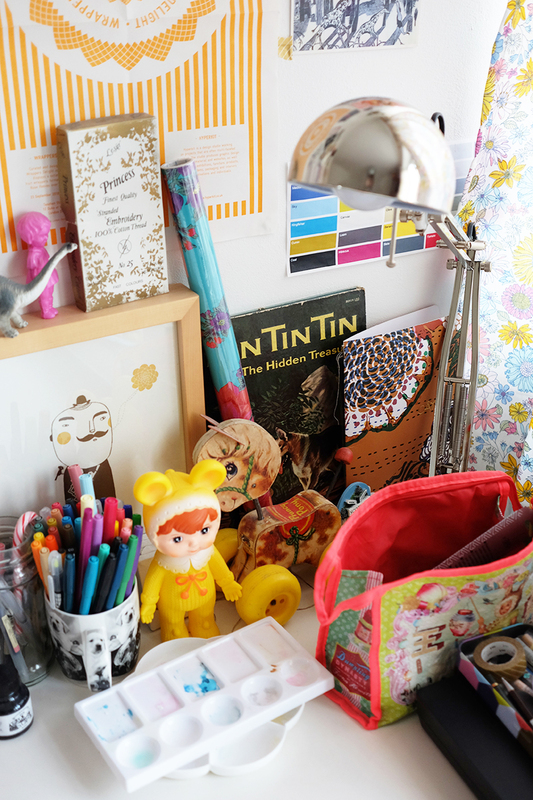 I love seeing other people’s work areas/desks/studios/bedrooms, so here are some photos of mine. I was asked to do this a few weeks ago for a friends website, and only got round to it so thought I’d post them here too! I don’t have a studio or a spare room to work in (London rent is already bloody enough) so use half my bedroom as a working area for my illustration work/drawing/photoshop marathons. I LOVE toys.. and do collect them. I have a few vintage Fisher Price wheeled animals and lots of Lapin & Me toys as I’ve drawn them quite a lot for the shop in the past year. 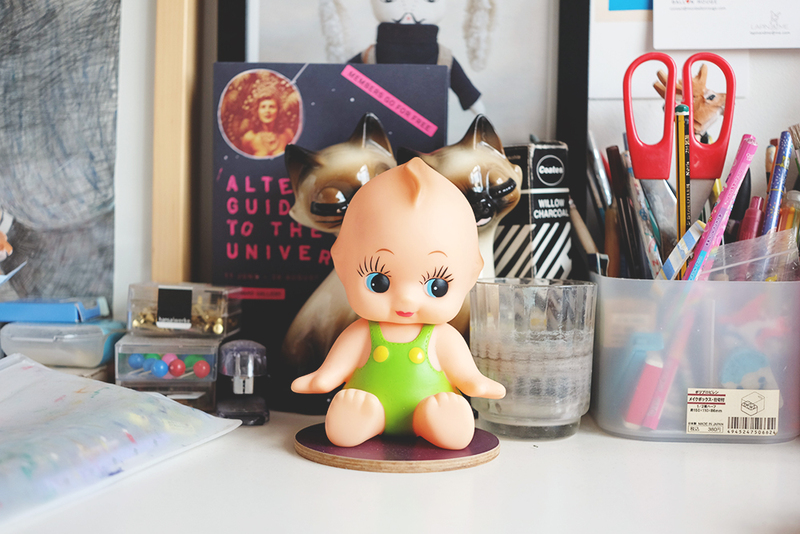 I found this Kewpie in a bin on Kingsland Road! Haha, I did have to wash it a lot, god only knows what it was covered in… The silver lamp above is Ikea and I love it. I do try and change the pictures here up a bit, I don’t tend to put much illustration up as I prefer photos, paintings or bits of design (doing illustration kind of makes you sick of looking at other illustration and I also think it’s best if you don’t!). But I do have some vintage illustration bits up, alongside two recent artists Nathalie Lete and Yoshitomo Nara because they are two of my all time favourites. Also I’ve got a few bits of Ana Albero’s work stuck up, an illustrator from Berlin who’s work I really like. A cute little pen I got from Berlin & below some MT tapes. 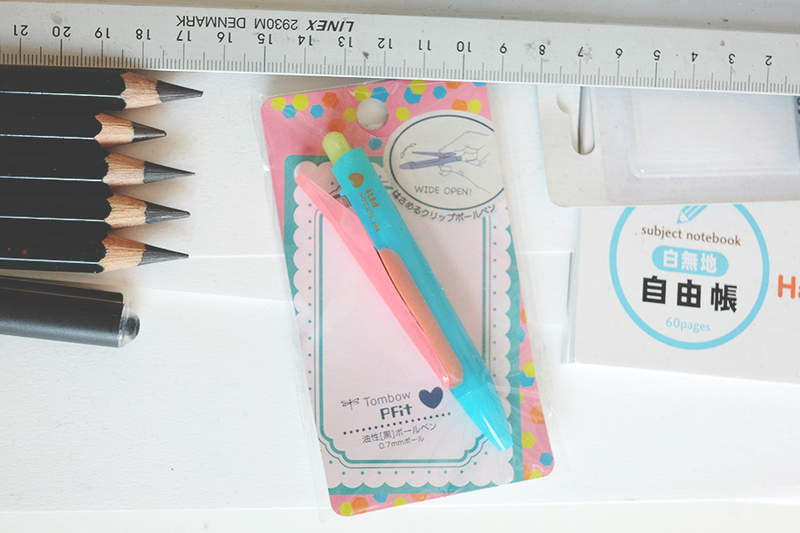 (I LOVE STATIONARY, especially Japanese!). So there we go, where I spend quite a bit of time! I hope you liked this sneaky peek of my flat! The only show I’ve ever been to that was so loud I nearly threw up…I got so dizzy I almost fell down. 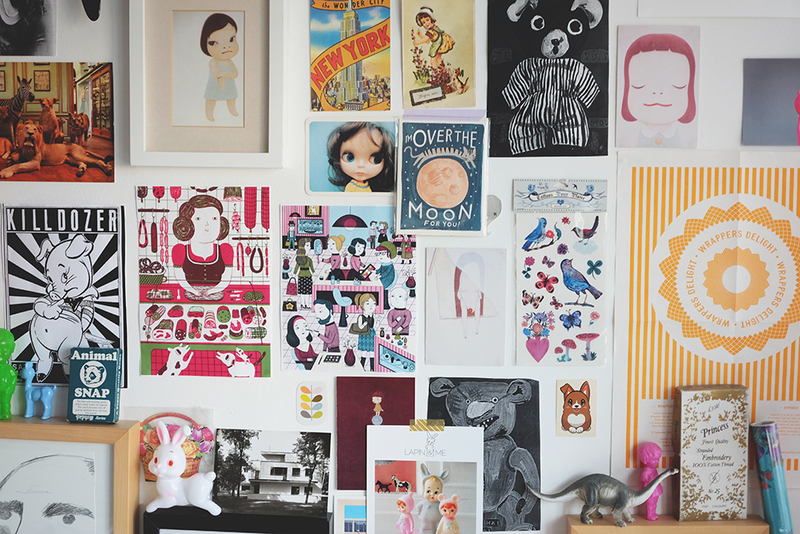 I love the wall above your desk. 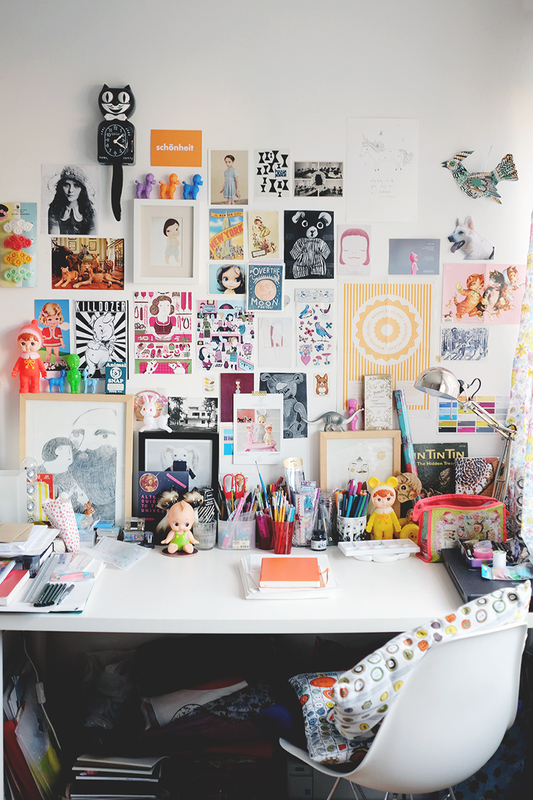 :) This little work space looks so bright and cozy aka the best combo! Lovely! Everything is very artfully placed! 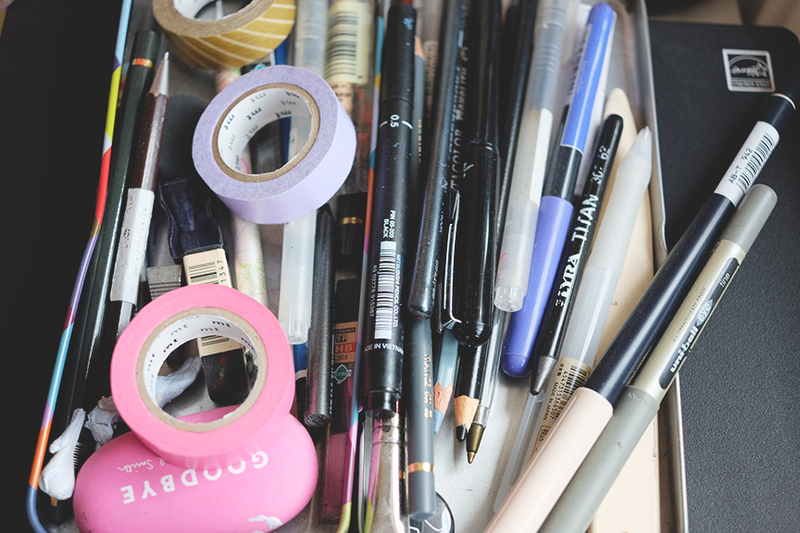 When I attempt to do this it just looks cluttered. I LOVE THIS! 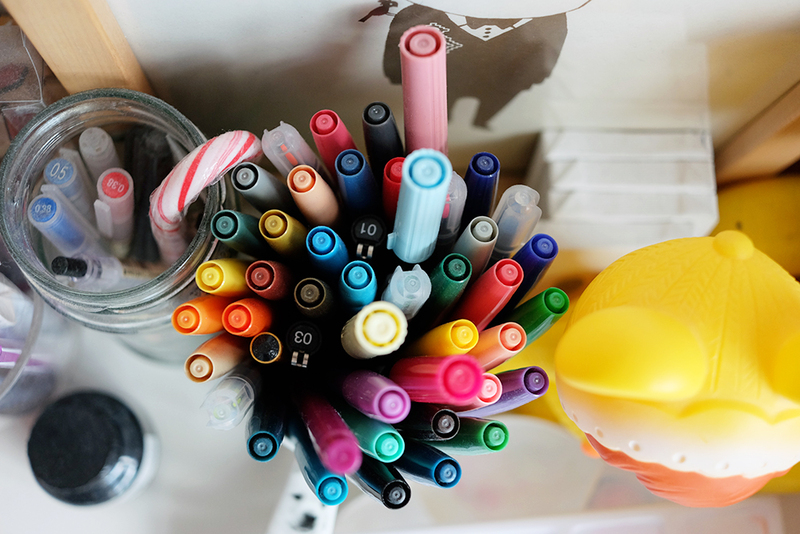 i love seeing other peoples spaces, especially if it’s colourful and full of interesting things. can’t believe you found that kewpie in a bin! Wish my space was this tidy! I’ve taken over my parents conservatory…no more friends over for them! Lovely space though and thanks for sharing!